Perhaps the most famous of our many fjord villages, Flåm is surrounded by steep mountains, thundering waterfalls and narrow valleys. The area is a paradise for those who seek unique and spectacular experiences in nature, all year around. 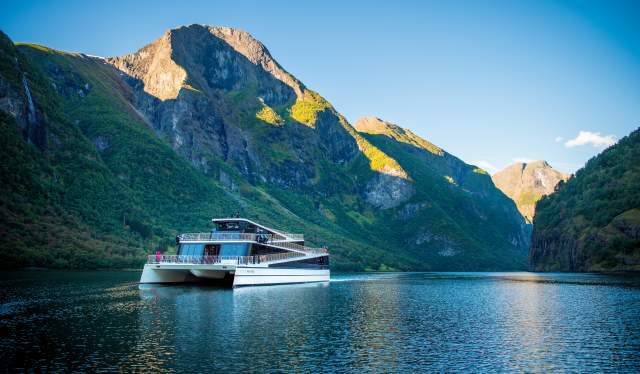 Flåm is an all year destination and can offer team building activities, famous bike rides, guided hikes, snowshoe hiking, RIB tours, kayaking and cruises, fantastic local food and beer, and the use of the Flåm Railway as a ski lift to the freeride heaven Vatnahalsen. And best of all, it all comes with world class fjord views! As a connection point between major transport routes, Flåm is easily accessible by all means of transport. Questions about business meetings in Sognefjord? Find out more about from Visit Sognefjord and DMC Amazing Fjords. 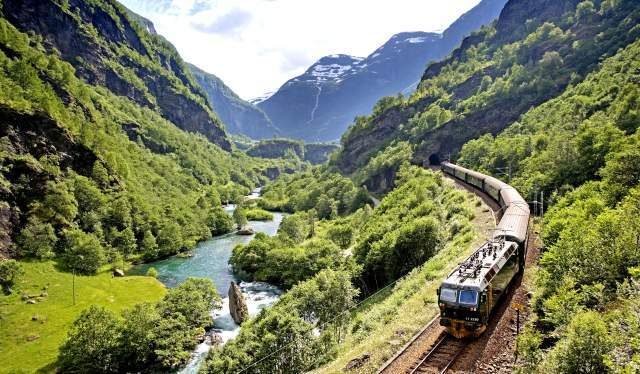 Flåmsbana, known around the globe as one of the most spectacular train rides in the world, was named the world's best train journey by Lonely Planet in 2014. During the one-hour journey with this amazing railway, you often experience several seasons. The train makes its way from sea level in Flåm by the fjord to the mountain tops, covering an altitude difference of almost 900 meters. Experience the UNESCO world heritage area of the Nærøyfjord, one of the most beautiful and popular fjords in the world, on a cruise. The narrow and spectacular fjord is surrounded by steep mountains with snow covered peaks that stretch up to 1,800 metres above sea level. Water falls cascade down the mountains and picturesque villages dot the landscape. There are multiple options both by RIBs or ferries every day, all year around. Our local DMC can also help you to organise a yacht or sailboat for your event. At the end of the Nærøyfjord you will find Gudvangen, an old village that goes back to the Viking era. Private events can be arranged in the new but authentic Viking Village, also in Gudvangen. Get the entire group dressed up as vikings and join a number of traditional crafts, games and challenges before enjoying a feast with the viking chief himself. 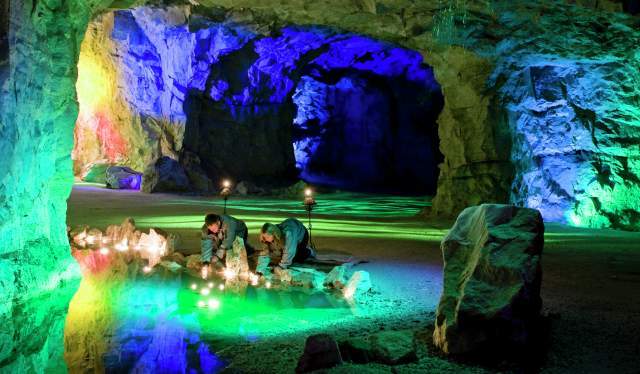 In the surrounding mountains you can enter the magic white caves, which are characterised by shifting moods and lights, colours, music, silence and darkness. The Lærdalselvi river has a rich tradition as one of the best salmon rivers in Norway. It is also well-known internationally. Salmon up to 25 kilos have been caught in Lærdal, and it has even happened that movie stars, musicians and royals have visited because of this. Nothing beats a bit of healthy competition in catching the biggest fish, before preparing and enjoying a lovely meal together. There is also a number of exclusive, private fishing lodges that can introduce you to the art of fly fishing. Balestrand is an idyllic village on the main Sognefjord known for the yearly jazz festival in May. 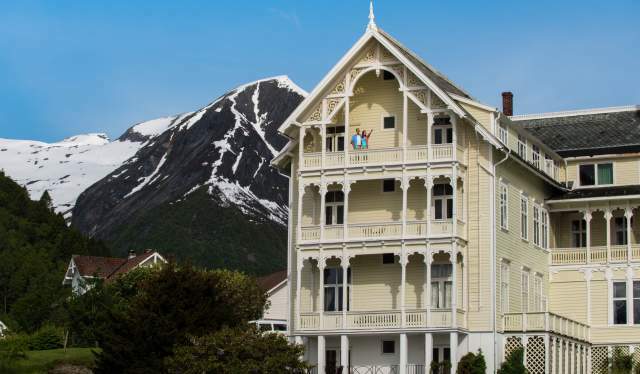 Enjoy a stay at the beautiful Kviknes Hotel and and sample local food and cider tasting at Ciderhuset. The area has a number of activities on offer and one of the oldest churches in Norway, Hopperstad stave church built in 1130. 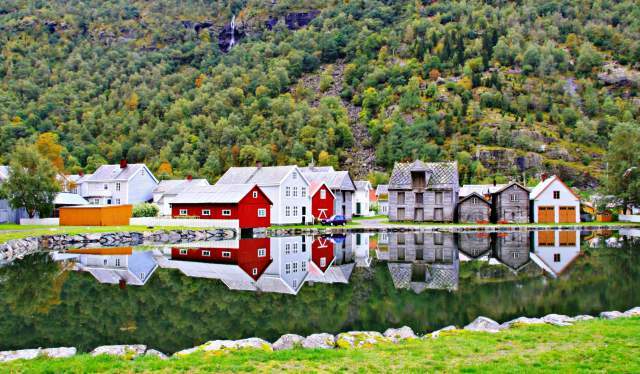 Sogndal is sure to have you fascinated by the contrasts the region offers. Here you will find countless hiking and biking opportunities during the summer, and great snow conditions and deep powder snow in the winter. 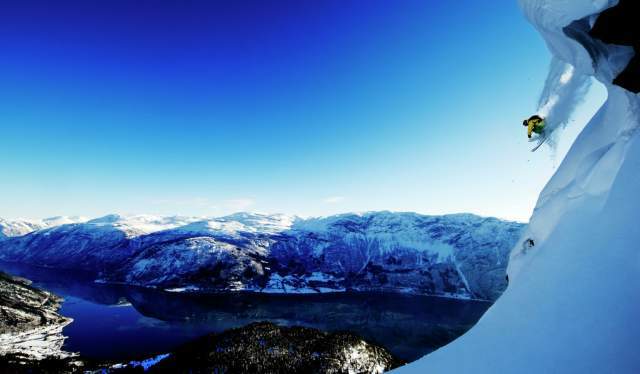 Sogndal Ski resort is an excellent starting point for backcountry skiing and has large areas of off-piste skiing close to the uplifts. During summer, go for guided hikes on the Nigardsbreen glacier or venture deep into the blue ice caves. Adrenalin seekers can go river rafting and canyoning or explore the fjords by RIB. 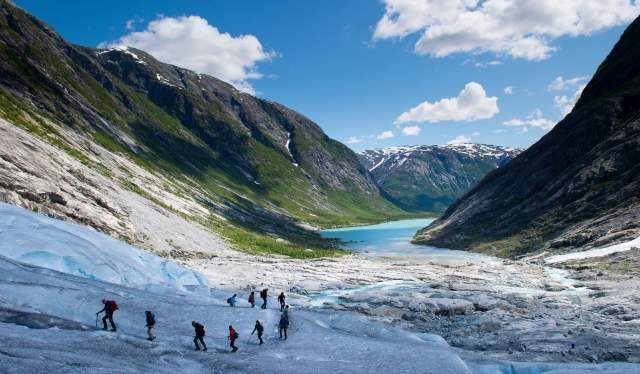 Visit the Jostedal Glacier Visitors Centre to learn more about the Jostedalsbreen National Park. During winter, try backcountry skiing or visit the blue ice caves with a private guide. Årdal is called the "Gateway to Jotunheimen National Park" from the west. 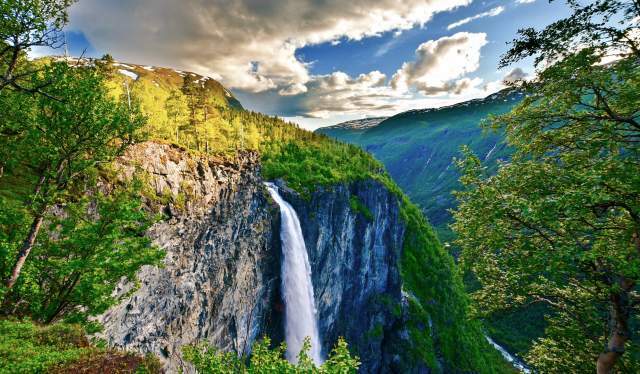 It is home to the lush Utladalen valley, with find hiking adventures second to none. Here you will also find the Vettisfossen waterfall, which happens to be the highest fall in Northern Europe.